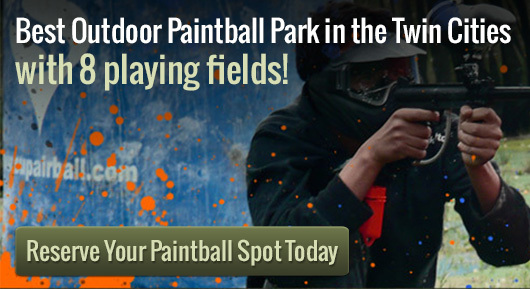 Corporate paintball events might be just what your office needs. All work and no play makes Jack a dull boy, and forward thinking companies know that dull just won’t cut it. To get the creative juices flowing and to make sure that the people in their organizations work together as a tightly knit team of go-getters able to produce under pressure, several companies have been turning to the formation of corporate paintball events. Paintball originated in the 1950s as a way to tag trees and livestock with a distinctive marking of dye, but has quickly evolved into one of the most action packed and strategy building sports around today. The changing landscape of corporate formation and productivity encouraging strategies in the 1980s and 1990s paved the way for smart corporate managers to start thinking outside of the box to try and finds ways to make their employees, and even vending partners more productive and creative. Enter the world of team building and the collaboration lifestyle coaching industry. Corporate paintball is a step above the usual think tank and inter office communication exercises that are well known to be regurgitated ad infinitum on the motivational speakers circuits. It teaches the lessons of how important relying on one another is to not only the corporate environment but in life itself, and instantly rewards the participants with the tangible results that come with a successful team strategy and a healthy dependence on each other’s individual talents and skills to put that plan into action, real action.